Rutter Mills has been recognized by Virginia Lawyers Weekly for achieving the highest personal injury settlement in Virginia for 2015. With over 50 years of handling the most serious types of personal injury cases, we again find ourselves topping the list. It’s always nice to be recognized for simply doing what we love and what we are best at – winning the most serious types of injury cases for our clients and helping them during their most challenging times. The Virginia Lawyers Weekly article attached below showcase why Rutter Mills is recognized. 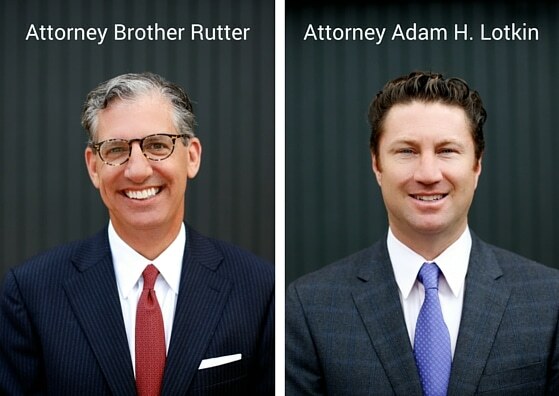 Attorneys Brother Rutter and Adam H. Lotkin, supported by their amazing Rutter Mills team, won our client $4.125 million in compensation after he suffered a devastating auto accident. The accident left him unable to work along with with more than $1 million in medical bills. We are beyond excited to have helped our client through such a difficult time in his life, knowing he has been awarded the compensation he deserves. Through our hard work and determination we strive to provide results to every client’s satisfaction every day. If you or a loved on have a serious injury, you need to find serious injury lawyers whom have the strength and reputation to win your case. We want the best for you! Call Rutter Mills at 757-622-5000.